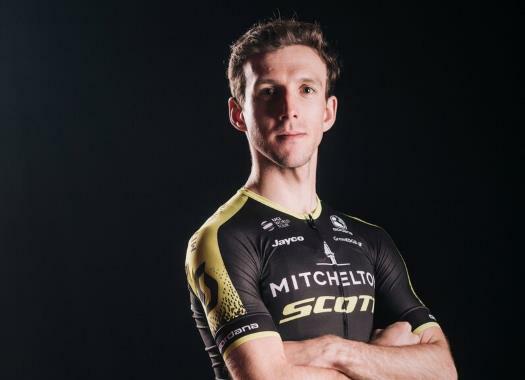 Mitchelton-Scott's Simon Yates was 17th at the finish line of the 17th stage of the Vuelta a España and managed to keep his lead on the General Classification. The rider continues in the first position of the overall standings at 25 seconds from Alejandro Valverde after a day in which Mitchelton-Scott showed to be strong on the climb. "We employed our secret weapon in Adam (Yates) over the last kilometres, that’s why we’ve been saving him for this final section of the race and Jack was around the mark also. The whole team were there today, and they did a fantastic job. "I lost a few seconds in the sprint there in the end, it's no shame to lose a few seconds to Valverde in a sprint and I put time into a few other people so all in all, it was a good day." Yates knows that difficult times may still come but one of his dreaded stages is over. "We expect aggressive, attacking racing from Valverde and Movistar – I don’t think he knows any other way to ride and he has a very strong team around him. "Of all the stages left I was most afraid of this one but there’s still a lot of hard racing to come. Tomorrow should be a sprint day and we can hopefully take it a bit easier, although you never know, and then we have Andorra. I think those stages will suit me better than today, but we’ll see."